Meeting with Grooms individually before the wedding now for several years, “wedding-idea-machine” Matt Martindale, will be talking to GROOMS ONLY in a fun, interactive Colorado wedding workshop about how to make YOUR Colorado wedding day EXTRA special. Matt will go through tons of ideas how to surprise you, make you smile, and definitely make the Groom “the man” of your life (even more than he currently is). In the end, your man really wants to help. He really does. He wants to be the secret “superstar” on YOUR wedding day to make YOU shine, but probably has no idea where to start. It’s because guys don’t know “the rules of the game,” and how to “score” points. 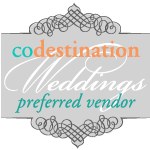 This interactive, fun Colorado wedding workshop is designed to help him understand things that will happen on YOUR wedding day…and more importantly, Matt will leave him wanting to be an eager participant in creating YOUR wedding day; ensuring it’s fun, memorable, unique, and most of all, romantic. This workshop is such a fresh, new, creative idea by Matt, but add in his unparalleled reputation in the Colorado wedding industry, and many sponsors and other wedding professionals also want to help out the fellas. “Man, about the Grooms Workshop, a lot of great stuff, even in the “crash course! !” I was so glad it gave me a chance to put the spotlight back on my Bride. Another thing I got a kick out of is on our honeymoon we were driving, talking about the previous days events, and we talked about some of the special things you suggested. Several now are a special keepsake from that day. Thank you so much for sharing those pearls with me!” Adam H.
“It was great looking at the whole situation with a different set of eyes, to see things from her perspective really helped. My advice to the other guys: listen to Matt, he has lots of tips and ideas, and knows how it really is on the wedding day. Take his advice, even some of it, and you’ll be just like Matt says, the Hero, and your new wife the Princess! All I can say – it’s brilliant!” Kevin S.
“Talking with Matt before the wedding was great! I learned a lot from all of his experience with weddings and what people enjoy, just some little hints and suggestions that truly made our wedding and reception the best that it could be. He has a great amount of respect for each couple and he makes what he does about the Bride and Groom, not about himself – which is an amazing quality.” Matthew E.
This is for GROOMS ONLY but…fellas, bring your Bride to be. There will be a special separate session for the ladies. So, mark your calendars and plan to attend in fall 2016! Visit www.ColoradoGroomsWorkshop.com for more info.